Ripley Davenport "Keeping the Spirit of Walter Mitty Alive"
Ripley Davenport: Walter Mitty or Penny Ante Fraud? Anyone thinking of supporting Ripley Davenport's exploits would be well served to read the Politiken article below before investing time or money. In spite of trumpeting his prowess as a "renowned desert explorer" Ripley has never substantiated any of the "desert explorations" he claims to have made prior to 2010. 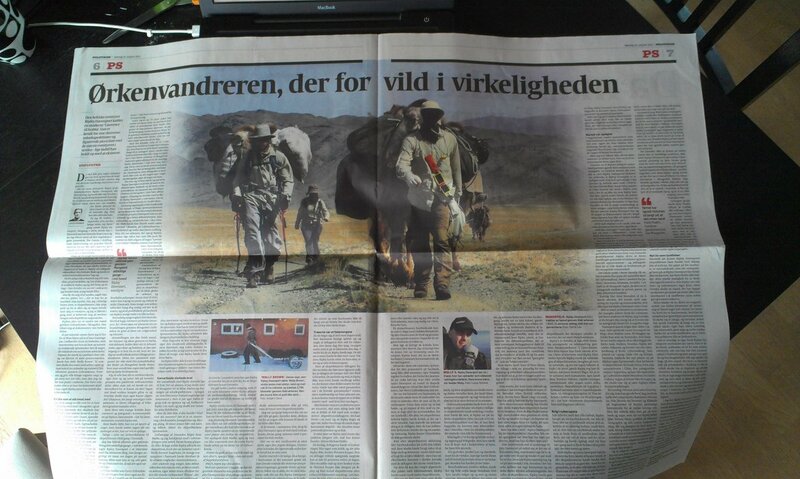 He has erased all records of his Mongolia walks in 2010 and 2011 from the web. He did, however, steal images from private pages on the internet and represent them as his own "copyrighted" material on Flickr in an attempt to prove his claims and fool the public. The Danish Newspaper Politiken article "When Ripley Got Lost" on Kenmare, Ireland resident Ripley Davenport (birth name Colin Dormer) is out as of Sunday, August 19, 2013. Click on the image of the article for the English translation. Please note this article is copyrighted by the authors and Politiken, contact the authors for permission to post or reprint. Federal 9th Circuit upholds First Amendment rights of bloggers. Ripley Davenport's claims of being "cyberstalked"
American Diplomat Accused of Cyberstalking: (If your browser does not support pop-up notes, download and open in Reader): A remarkable melange of fact, irrelevant fact and disingenuous fantasy which still begs the question of why these indignant, famous, accomplished explorers don't just answer the basic questions being asked about their professional claims? Affidavits Calling for the Arrest of Kent Madin Which accompanied the document just above. UPDATE: Dec 2013: Ripley Davenport has re-invented himself as an open water swimmer with plans to circum-swimigate 850 miles of the coast of Ireland in July of 2014. This, in spite of having no previous open water swimming experience. This is consistent with Ripley's imaginary 1998 Namib Desert crossing which he also undertook with no prior desert travel or camel handling experience. The Round Ireland Swim is to raise money for MSIreland and prove that someone with MS can do anything. Ripley has a documented history of fabrication, embellishment, deception and theft (of images) to make himself appear to be a famous "desert explorer" and attract sponsorship, donations and free gear. Interviews with people who spent considerable time with Ripley when he was experiencing symptoms of MS and also after his "diagnosis" all say they saw no evidence, nor did Ripley mention, any symptoms associated with MS. In July 2012, in spite of claiming to have MS, Ripley undertook to walk the length of Death Valley exposing himself to well established triggers for MS symptoms, heat and stress. Yet he never told either the National Park Service or his private local outfitter and safety man, both of whom might have been mustered for a rescue, that he had MS. Given Ripley's track record, this latest swimming adventure calls for prudent scrutiny. Does it matter whether Ripley actually has MS? If he does, he deserves kudos and support and apologies. If he doesn't, he has deeply offended those who genuinely suffer from MS. That question is for MS Ireland, the charity being supported, and MS sufferers world wide to decide. 1992-1997: Where was Ripley? Until 2012, Ripley widely claimed that he had spent 7 years in the Special Forces (examples here, here and here). Now his website makes no mention of military service. Shipmates confirm he spent two years in the Royal Navy (90-92) and other sources confirm that he spent a few months as a new recruit in the RAF Regiment in late 1997. Ripley's own Facebook images show him in both Navy and RAF Regiment. Between 1992 and 1996 Ripley married (Sept. 1992) and divorced but there is no evidence he was in the military during that time. Ripley himself alludes to having spent time in jail in at least one published interview which would preclude spending 7 years in the military. Anyone with information about those years is encouraged to contact me. I am interested writing an article/book about faux explorers. I welcome input from anyone who has factual knowledge of Ripley Davenport's expeditions, military career, educational career and other activities. Update: Earl de Blonville is the focus of a second article being researched currently. Just weeks before this article was published at Politiken, Earl's LinkedIn endorsement of Ripley Davenport brought Earl to our attention. 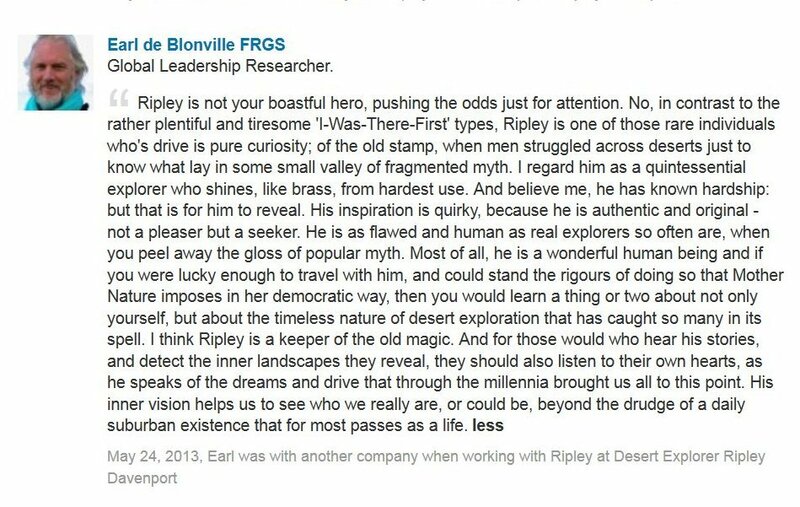 Earl's endorsement was published May 24 of 2013 in spite of considerable doubt having been raised, by that time, of Ripley's veracity. I can find no evidence that Earl de Blonville has ever met Ripley Davenport. When asked upon what actual experience this LinkedIn endorsement was based, Earl took umbrage at the suggestion that his endorsement was fantasy-based bloviating and declined to answer. Earl's response, in dismissing my inquiry, demonstrated his special relationship with irony: "As far as I can see, you have basically breached all the rules and etiquette of LinkedIn, and I think they should be apprised how you're misusing what is supposed to be a forum of trust." And if that weren't ironic enough, Earl makes numerous "I was there first" claims on his own CV. Privacy Statement: "Being that this is a public document available to anyone, literally, with a computing device, I have no particular expectation of privacy nor do I expect or desire to constrain others if they wished to reuse parts of this website. If you have modified, copied, reproduced, republished, uploaded, posted, transmitted or distributed in any way, congratulations! The only constraint I would request is that you not quote out of context and if your intention is to belittle me or poke fun, please do it with wit and taste. Otherwise, I am happy to stand by what I have said here. 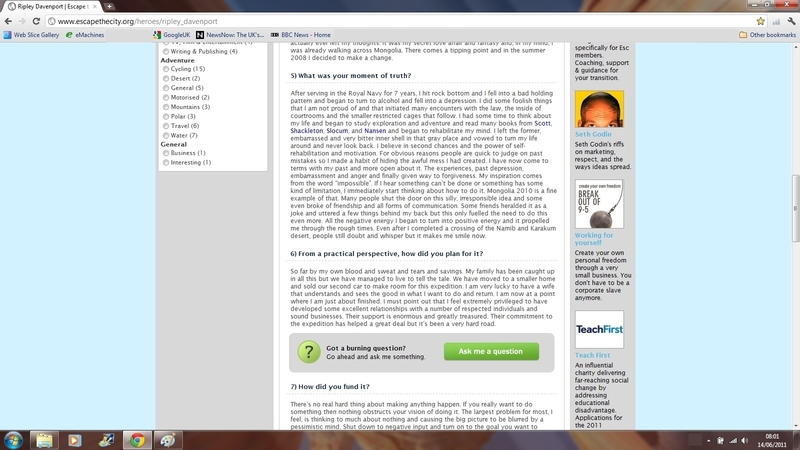 I strive to remain factual and am happy to discuss any concerns with the veracity of what I publish here. Rest assured I'm happy to retract and apologize should I present something that is untrue. I am happy to let the reader draw their own inferences from the facts."